The first ever Ease of Living index released by the Centre on Monday ranked Imphal as the fifth safest city in the country while Itanagar earned the sixth place as the best city in terms of economic growth and job opportunities. Shillong was ranked the seventh healthiest city to live in. Aizawl was judged the most liveable city in the region. A report published in the The Times of India stated that Guwahati, the biggest city in the region, was ranked one notch below Aizawl at 85th. Imphal came next with a ranking of 91 followed by Agartala at 93rd position, Shillong at 98th rank, Pasighat and Itanagar at 105th and 106th and Kohima at 110th position, just one slot above Rampur, the city at the bottom. The report further stated that the index captures the quality of life in 111 cities under 15 categories using 78 indicators, of which 56 are core indicators and 22 are supporting indicators. The core indicators measure aspects of ease of living which are considered ‘essential’ urban services. The supporting indicators are used to measure adoption of innovative practices which are considered desirable for enhancing the ease of living. 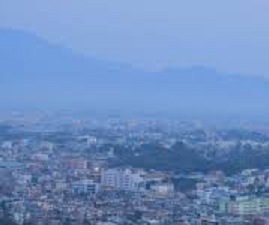 Aizawl figures among the top 20 cities in the country in two categories – 10th in ‘housing and inclusiveness’ and 17th in ‘reduced pollution’ but is among the bottom four at 108th position in the ‘power supply’ category. Guwahati’s best score is in ‘public open spaces’ category where it is ranked 42nd in the country and the worst in waste water management (107th position). Minister in-charge Hardeep S Puri in the report stated that the indicators used have been adapted from various national and international indicator sets and service level benchmarks, and finalised after extensive consultations with State Governments and citizens through the MyGov portal and peer review by sector experts. Pune has been ranked the best city by the Centre in the Ease of Living index followed by Navi Mumbai and Greater Mumbai.